Evander Sue Harrison, age 74, of Orange, Texas, passed away on Saturday, February 9, 2019. 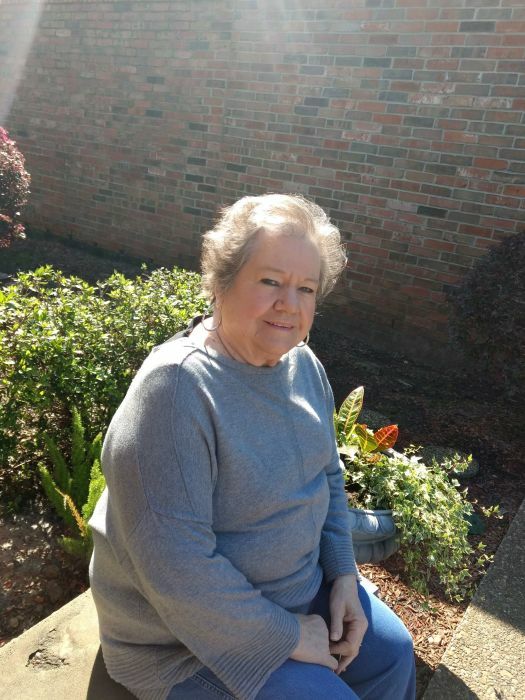 A memorial service to honor Sue's life will be held at Dorman Funeral Home in Orange, Texas on Saturday, February 16, 2019 at 11:00 AM, with Brother David Wagner officiating. Sue was born on Friday, February 2, 1945, in Kinder, Louisiana to parents, Mary Emily (Fontenot) and Madison Evander Marler. She had been a lifetime resident of Orange, Texas after moving from Kinder, Louisiana over 54 years ago. Sue was a very loving, good hearted woman who loved her family dearly. Her family was everything to her and she never failed to let them know it. She met the love of her life when she met Johnny Ray Harrison. The couple eloped on Halloween in 1963 and never looked back. They had one precious son whom they loved with all their hearts, Scotty Harrison. Johnny Ray and Sue were married for 41 blissful years until Johnny's passing in 2006. Sue loved taking vacations, cooking and singing. She always kept a tidy house, as she also loved to clean. Sue had two grandchildren and four great grandchildren that she loved unconditionally and was absolutely sure that they hung the moon. Her nieces and nephews were also very close to her heart. Overall, the center of Sue's entire life and existence in this world was centered around God. She truly believed in God's promises of hope and eternal life and she honored him in everything she did. She was of the Protestant faith and a proud member of Community Church in Orange, Texas. Sue was a daughter, wife, mother, grandmother, great grandmother sister and friend who will forever be loved and missed by all who knew her. Sue is preceded in death by her loving husband of 41 years, Johnny Ray Harrison; parents, Madison and Mary Marler; brother, Vernon Elmo Wallace, JR.; sisters, Robbie Conn Ladner and Patricia Marler. Sue is survived by her son, Scotty Harrison and wife Keri of Orange, Texas; brothers, James Marler of Sulphur, Louisiana, Billy Marler of Sasebo, Japan and David Marler of Hineston, Louisiana; sisters, Janice Fay Esthay of Lake Charles, Louisiana and Anna Sweat of Alexandria, Louisiana; grandchildren, Kaci Williford and husband Aaron and Daniel Harrison and wife Lindsey, all of Orange, Texas; great grandchildren, Aiden, Jensen, Lillian and Brooklyn.